#7 x 1-1/2" Fine Washer-Head Screws, 1200 pc. Kreg SML-F150-1200 - #7 x 1-1/2" Fine Washer-Head Screws, 1200 pc. 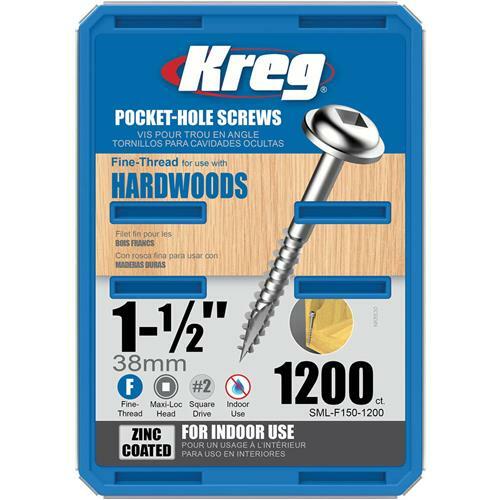 The Kreg 1-1/2" Pocket Hole Screws are ideal for hardwood applications. This fine thread works well in hardwood material such as oak, maple, hickory, cherry, and walnut. The wide bearing of the washer head will not overdrive in the bottom of the pocket. The screw also features a type 17 auger tip that self-taps its own hole, eliminating the need to pre-drill in even the hardest materials. The large diameter steel shanks feature a bronze finish and a dry lubricant coating that eases driving torque and provides greater rust resistance. 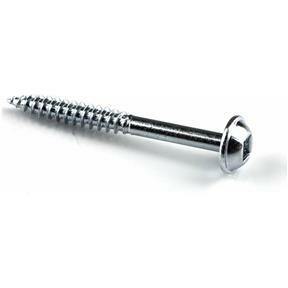 These screws come in a pack of 1200.